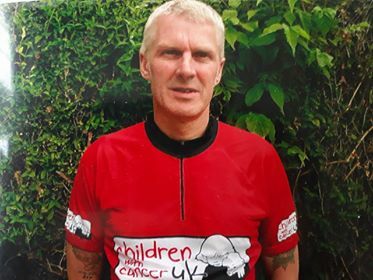 A relative latecomer to cycling (and most things really), Jean first joined the club in 2016 having retired from distance running due to injury. Somewhat surprised by the relative lack of women cycling with the club, since joining she has endeavoured to get more women into cycling locally and in August 2016 instated the Friday morning Ladies Rides which are still going strong. Last summer she took part in the Tour of Cambridgeshire, completed her first two centuries and hopes to build on this in the coming year. Next on her list of challenges is how to change an inner tube in less than 40 minutes. is 2nd Claim to Haverhill CC, having joined its rides in the last year or so. He still races (mainly Track and Crits) and organises an LVRC Road Race on the Radwinter Circuit each year. 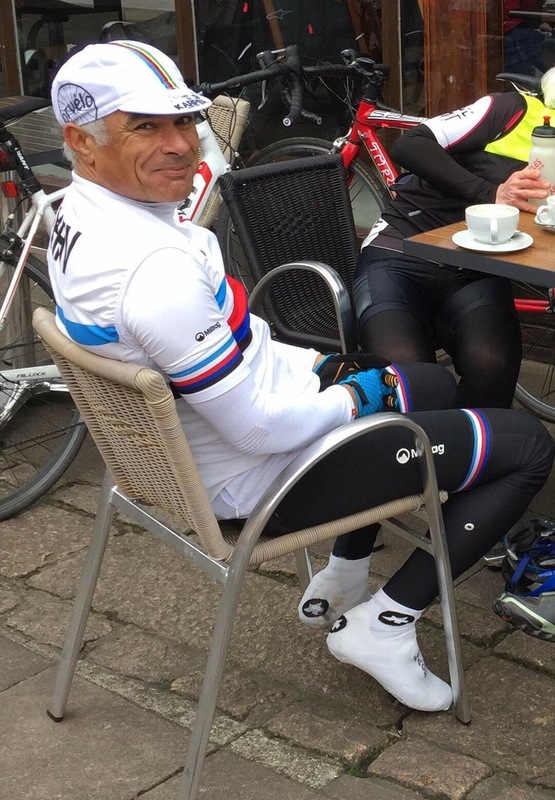 As well as racing he enjoys the social side of riding and is a big fan of the bacon sandwiches at the Rayne Station Cafe, introduced to them by our very own Glyn Howland. You can see how much he’s enjoying one here (in the stripey FHHV top). 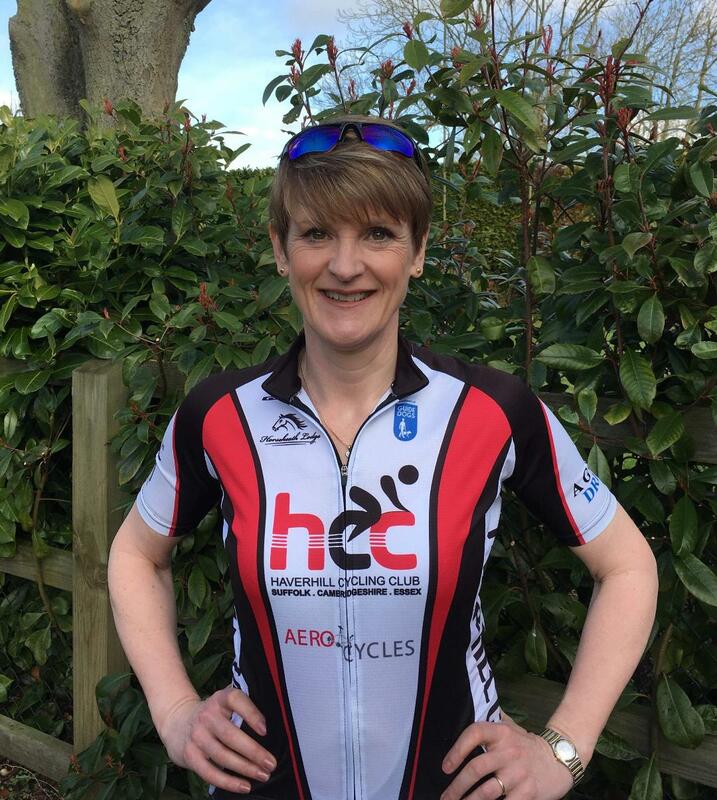 HCC’s very own Ironman cut her teeth on gymnastics and athletics but chanced upon triathlon and wanted to try it. Eventually the distances increased and Sue first joined the club to help train for those longer rides of the Ironman challenge. Sue has completed six (yes that’s right six) Ironman Lanzarote and The Outlaw in Nottingham. For this year Sue has entered the Lanzarote Full- and Half-Ironman, The Outlaw and the Midnight Man in Dartford and is now contemplating going longer! She is a Mum and Nan who loves sport be it taking part, watching or encouraging others to have a go. Brigitte joined the club in 2015 and for a time was the only female rider. 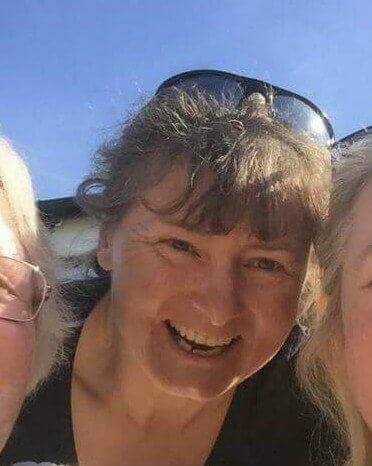 Since joining, she has completed in numerous cycle events, ranging from Velothon Wales to the Tour of Cambridgeshire and is an active member of the weekly ladies rides. Brigitte has recently purchased a TT bike and aims to get some TT’s under her belt this season. She also enjoys running and is a member of Haverhill Running Club, planning to again run the Cambridge half-marathon in early March. Hailing from God’s Own Country Duncan moved to Suffolk after leaving the army in the early 80s. Originally more of a footballer than a cyclist, but as age crept up on him he was no longer able to chop people down on the pitch, and with the shouts of ‘Get that donkey off’ ringing in his ears, he decided to hang up his boots for good. Not sure of what sport to do next he found himself in Aerocycles about 6 years ago and, after a couple of cups of the brew they call tea, he now cycles. Duncan likes to take part in closed road sportives as and when he can. We aim to get to know as many of you as possible over the coming months so please don’t be shy at coming forward and saying ‘hello’.